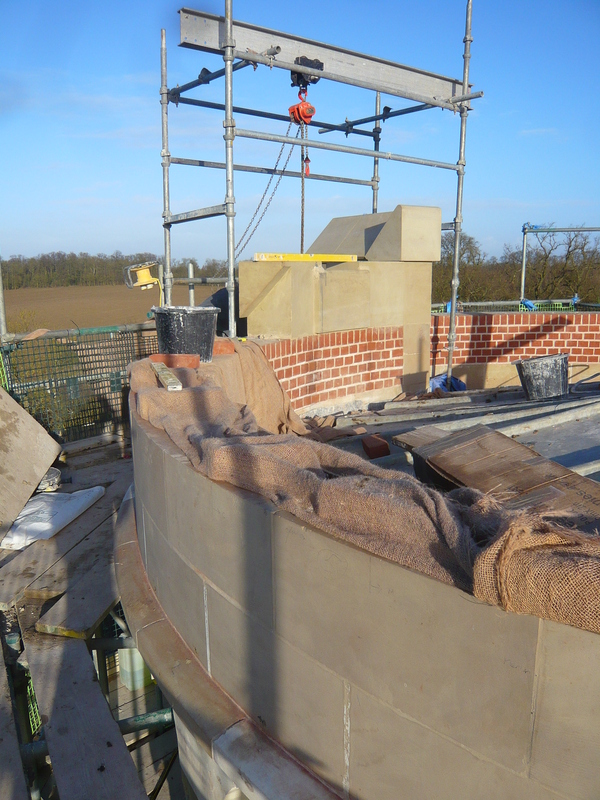 Paul Coleman, Project Manager, updates us on work at the Folly. In 1772 the Gothic Folly was originally completed, a towering massive structure which rose from the Hill overlooking the park. Its not until you get close to the building (with the aid of our modern scaffold) that you truly appreciate the effort which it must have taken to construct the building. 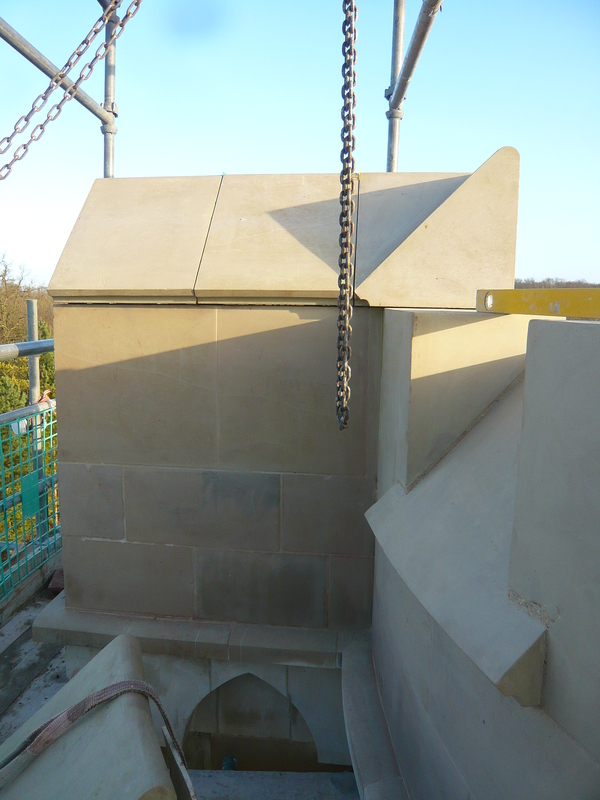 We are now lifting the final stones which will signify the completion of the conservation of the Folly and reinstate the crenulations to give the building back its ‘top hat’. These stones are massive, were using specialist lifting gear and each stone takes 5 people to put it in its final position – but despite the cold weather the stone masons are enduring the brisk winds to show that traditional conservation skills are still a live and the care which they are putting in to make sure the Main Tower lasts for a few more hundred years. 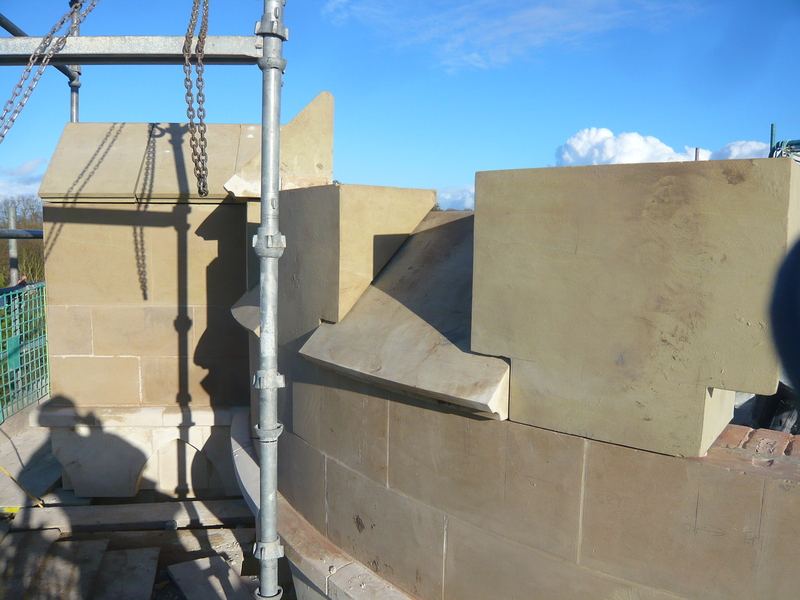 We’ve updated the 360 of the tower, which now includes the Crenulations taking shape. In weeks to come, we will be looking at glass, glazing, windows and showing more of the careful conservation works taking place as we plan for the end of the works towards March. For those who visit the property regularly, keep an eye up the hill – we’re planning to start to take down the scaffold to reveal the ‘new look’ stonework during early Feb. This entry was posted in Landscape, Outdoors and tagged cambridgeshire, conservation, Folly, heritage by ntwimpole. Bookmark the permalink.